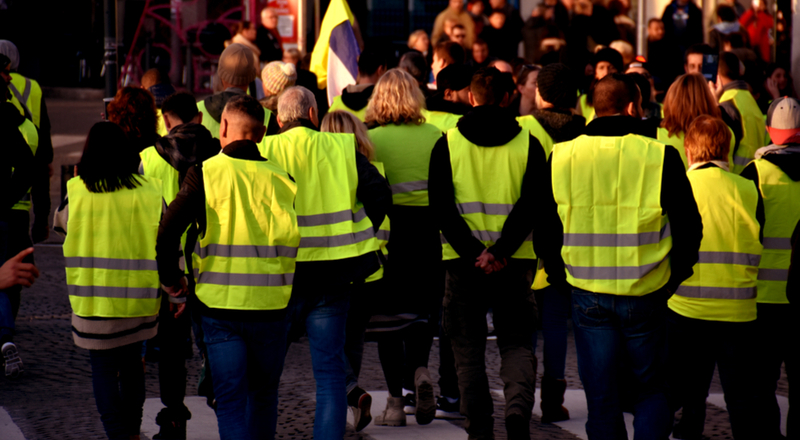 Yellow Vests Show Extraordinary Courage! It is with extraordinary courage facing this, the Canadian Yellow Vests protest against the Communist Trudeau! Tom Engel, a defence lawyer who focuses on prisoner justice issues, said other than the food (which inmates tell him is better than at the old remand centre in Edmonton), he hasn’t seen improvements in health care or how prisoners are treated by correctional officers at the new facility. Another concern is that there are no in-person visits, he said. Visitors can only speak to loved ones through off-site video terminals. “For some reason, these people, who haven’t been found guilty of anything, are denied this very important (contact with) family and loved ones,” he said. Many court appearances are done by closed-circuit TV, limiting the need to transport prisoners 15 km to the downtown law courts. In five of Canada’s provincial correctional system, the majority of inmates have not been convicted of a crime. These inmates are on remand — being held in custody before their trials. Alberta went from having the fourth-highest remand population in 2010/11 to having the highest in 2015/16. The new Edmonton Remand Centre — the largest jail in Canada — opened in 2013. In Ontario, there are eight national correctional facilities for convicted inmates sentenced to two years or more (administered by the Correctional Service of Canada); as well as nine provincial detention centres, nine provincial jails, and nine provincial correctional centres for people awaiting trial or who are serving a sentence up to two years less a day (administered by provincial/territorial ministries. Originally influenced by the controversial foreign-investor globalist private-prison craze that swept the United States – where for-profit businesses now run approx. 150 prisons housing about 150,000 inmates – the Remand Centres are even more Communist oriented, where the majority of inmates are not accused of a crime and are not found guilty of anything. How States Can Outlaw Abortion In a Way that Survives CourtsTrump Leading Us to Armageddon?